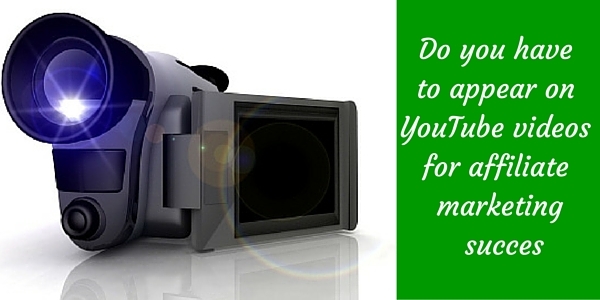 Do You Have To Appear On A YouTube Video For Affiliate Marketing Success? If you are like me you’ve heard about how people make money use YouTube videos successfully for making affiliate marketing. They can rank easier than blogs and in their Google listing they have a picture that catches the eye encouraging them to click. So even, ehen not at the top they can be clicked on just because of that. I’ve even tried it and had some success with it. My biggest concern was appearing or speaking on it for some reason. That is one of the barriers not wanting to appear or speak on a video. It’s an issue I face too but I’m making moves to sort that as there are advantages to appearing on your videos even if you aren’t the most professional or polished presenter and that can be an advantage not being too good. I’m not sure there is a thing as a natural but some people do seem that way but for the rest of us it is a matter of practicing as you go to get better at it. By appearing on the video helps to build trust as people can see you are a real person and not just some faceless marketer looking to part them from their money. It can also help in building your authority over time. Give a presentation (like powerpoint) or share you screen while recording it through your computer and speaking over it. 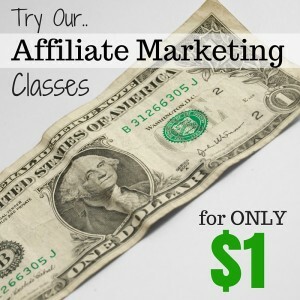 Here is one I did for Pajamas Affiliates Affiliate Marketing Masterclass by sharing my screen using the free version of screencast-o-matic. It doesn’t sound great but it is a start. You can write or have someone write a script and then have someone to present it for you on camera describing the product. It is possible to use places like fiverr do this which can be quite effective depending on who does the presenting for you. But you don’t have to be the professional and here is an example of a video ranking for garcinia cambogia before and after results (about 90 searches a month – it has gad over 168,000 views somehow). It’s simply pictures of people before and after put to music. Simple stuff. You can do that with Animoto for a monthly fee or again you could use someone from fiverr to put it together for you. I don’t know if any of them are converting (the first one hasn’t been up that long!) but they are ranking. These ones may or may not be converting but similar ones do. The answer to the question is you don’t have to appear in YouTube video if you don’t want to. But you should consider it as there are advantages in building your brand and trust. It gets easier too (I’m told!). Not convinced -No – then try out the other methods and get practicing you may be surprised. One of the things that seems to be important with success with YouTube long term as it is with any internet marketing is to do plenty of it and keep improving as you go (unless you truly are an overnight success. Do you have an issue with appearing on camera or speaking? Have you tried YouTube marketing?